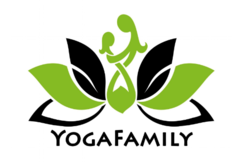 Get to know YogaFamily Inc.
Special combo pack - attend any of our amazing prenatal classes, and then bond with your baby and get postnatal yoga afterward! Good for up to 2 caregivers and baby. Use this special 8-class pack for any of our prenatal classes at a great discounted rate than our regular class packs! Good for up to 2 people - pregnant person and up to one other person. Receive a 10-class pass ($150) from YogaFamily and a 5-hour clean ($175) from Home Clean Home for $270 ($325 total retail). Use this class pack for any of our regularly scheduled weekly classes! Each use is for up to 5 people per class. Expires after 2 years for anyone purchasing after 11/1/18.